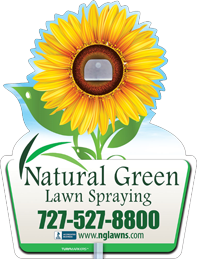 Natural Green Lawn Spraying makes certain that our technicians and staff members are trained thoroughly. We are very familiar with the types of grasses, diseases and pests that are found in Central Florida. We are proud to serve customers in parts of Pinellas County and Hillsborough County, Florida. This includes the following cities. If you don’t see your city listed, please contact us to see if we may be able to assist you.